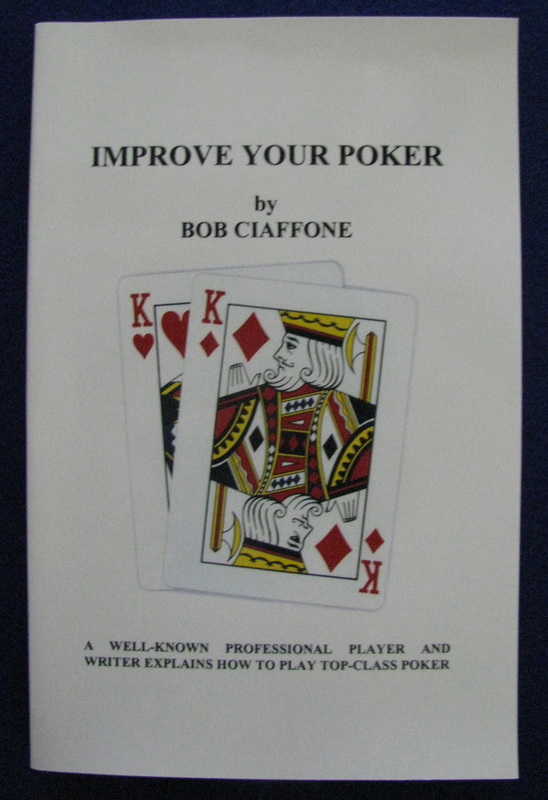 Bob Ciaffone is best known in the poker world as a frequent poker champion and gifted columnist who "wrote the book" on poker rules: "Roberts Rules of Poker," now in worldwide use. The jacket of "Improve Your Poker" notes that he "has two decades of experience doing battle for big money in the cardrooms of Las Vegas," and competed in the World Championship of Poker seven times. His books on poker are considered among the best. Mr. Ciaffone lives in Michigan, and still teaches poker to beginners and experts. Contact him through his website, pokercoach.us. Our guarantee: If you are not completely satisfied with an item you buy from the Key West Resort & Casino, you may return it for a refund. Opened and used playing cards cannot be refunded, but unopened decks may be returned. If you have any problem with your order, please e-mail dennis@keywestresortcasino.com. Read our casino policies at the casino office.